"Gilbert & Gaillard" has rated the wine "Luce della Vite 'Lucente' Toscana IGT, Tuscany, Italy" the vintage 2011 on 14.04.2014 with 91 of 100 points.
" Intense hue with crimson highlights. Profound nose intermixing red and black fruits, stone fruits and mild spice notes with subtle oak. Warm, full palate with mellow, polished tannins. A successful wine. " "Wine Spectator" has rated the wine "Luce della Vite 'Lucente' Toscana IGT, Tuscany, Italy" the vintage 2014 on 30.09.2016 with 89 of 100 points. "Wine Spectator" has rated the wine "Luce della Vite 'Lucente' Toscana IGT, Tuscany, Italy" the vintage 2012 on 31.10.2015 with 88 of 100 points. "Wine & Spirits Magazine" has rated the wine "Luce della Vite 'Lucente' Toscana IGT, Tuscany, Italy" the vintage 2011 on 01.04.2015 with 86 of 100 points. "Wine Spectator" has rated the wine "Luce della Vite 'Lucente' Toscana IGT, Tuscany, Italy" the vintage 2010 on 31.10.2014 with 90 of 100 points. "Wine Spectator" has rated the wine "Luce della Vite 'Lucente' Toscana IGT, Tuscany, Italy" the vintage 2011 on 15.10.2014 with 90 of 100 points. "Wine Spectator" has rated the wine "Luce della Vite 'Lucente' Toscana IGT, Tuscany, Italy" the vintage 2009 on 30.09.2012 with 88 of 100 points. "Vinous Antonio Galloni" has rated the wine "Luce della Vite 'Lucente' Toscana IGT, Tuscany, Italy" the vintage 2009 on 01.04.2012 with 87 of 100 points. "Wine Spectator" has rated the wine "Luce della Vite 'Lucente' Toscana IGT, Tuscany, Italy" the vintage 2008 on 30.09.2011 with 89 of 100 points. "Vinous Antonio Galloni" has rated the wine "Luce della Vite 'Lucente' Toscana IGT, Tuscany, Italy" the vintage 2008 on 01.05.2011 with 90 of 100 points. "Wine Spectator" has rated the wine "Luce della Vite 'Lucente' Toscana IGT, Tuscany, Italy" the vintage 2007 on 31.10.2010 with 91 of 100 points. "Wine Spectator" has rated the wine "Luce della Vite 'Lucente' Toscana IGT, Tuscany, Italy" the vintage 2006 on 15.10.2008 with 91 of 100 points. "Vinous Antonio Galloni" has rated the wine "Luce della Vite 'Lucente' Toscana IGT, Tuscany, Italy" the vintage 2006 on 01.06.2008 with 88 of 100 points. "Wine Enthusiast" has rated the wine "Luce della Vite 'Lucente' Toscana IGT, Tuscany, Italy" the vintage 2004 on 04.01.2008 with 90 of 100 points. "Wine Spectator" has rated the wine "Luce della Vite 'Lucente' Toscana IGT, Tuscany, Italy" the vintage 2005 on 31.10.2007 with 89 of 100 points. "Wine Spectator" has rated the wine "Luce della Vite 'Lucente' Toscana IGT, Tuscany, Italy" the vintage 2004 on 31.10.2006 with 88 of 100 points. "Wine Enthusiast" has rated the wine "Luce della Vite 'Lucente' Toscana IGT, Tuscany, Italy" the vintage 2001 on 09.01.2006 with 90 of 100 points. "Falstaff Magazin" has rated the wine "Luce della Vite 'Lucente' Toscana IGT, Tuscany, Italy" the vintage 2003 on 30.12.2005 with 88 of 100 points. "Wine Spectator" has rated the wine "Luce della Vite 'Lucente' Toscana IGT, Tuscany, Italy" the vintage 2003 on 31.10.2005 with 90 of 100 points. 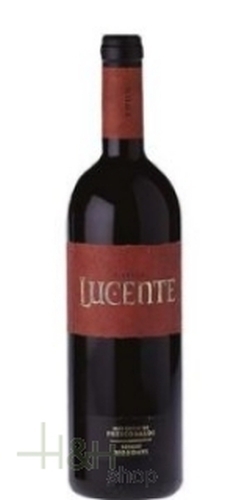 "Bob Campbell" has rated the wine "Luce della Vite 'Lucente' Toscana IGT, Tuscany, Italy" the vintage 1998 on 03.11.2004 with 89 of 100 points. "Wine Spectator" has rated the wine "Luce della Vite 'Lucente' Toscana IGT, Tuscany, Italy" the vintage 2002 on 31.10.2004 with 87 of 100 points. "Wine Spectator" has rated the wine "Luce della Vite 'Lucente' Toscana IGT, Tuscany, Italy" the vintage 2001 on 15.10.2003 with 88 of 100 points. "Wine Enthusiast" has rated the wine "Luce della Vite 'Lucente' Toscana IGT, Tuscany, Italy" the vintage 1999 on 09.01.2002 with 85 of 100 points. "Wine Enthusiast" has rated the wine "Luce della Vite 'Lucente' Toscana IGT, Tuscany, Italy" the vintage 1998 on 08.01.2002 with 89 of 100 points. Barbaresco Roncaglie - 2013 - Poderi Colla 38,50 EUR / 51,33 €/lt.